New York, c. 1965. Circular. 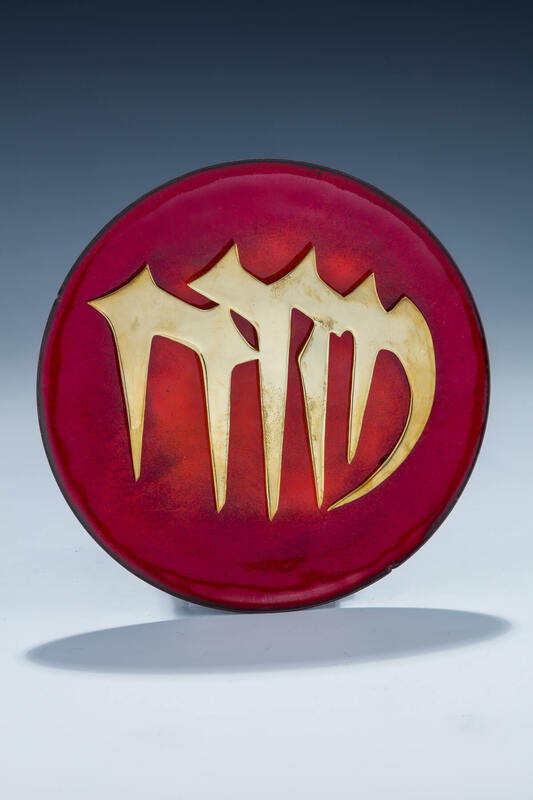 Decorated with deep red enamel. Signed and marked “TOBY PASCHER WORKSHOP, THE JEWISH MUSEUM.” With the Jewish Museum inventory number JM56-64. 6.2” wide.